Continental Breakfast 12: Where is Brexit heading to? The UK wants to remain economically in the UK, but leave it politically. 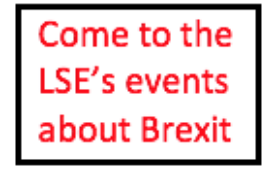 Horatio Mortimer (LSE) reports on a breakfast event held at the LSE to discuss where Brexit is likely to end up. The likely outcome, the participants concluded, will be a ‘Brino’ – Brexit in name only – that satisfies no one. In simplified terms, at the moment there is no border between the UK and the EU. Brexit means re-inserting a border. The question is how thick the border should be. A border is a barrier at which standards are checked. These days it has very little to do with tariffs. As part of the EU, the UK is trusted to produce goods and services to EU standards, so there is no need for a border. In leaving the EU, the UK is deciding that those standards will no longer be applied, so that trust cannot continue. An economic space is one that shares the same regulatory standards. The more different those standards are between two economic spaces, the thicker the border. You cannot have two different regulatory standards and no border between them, because in such a case, only the less costly standard (usually the weaker one) will continue to apply. This is because competitive pressures will force industry to locate itself wherever costs are lowest, which, other things being equal, will be where regulatory compliance is less costly. 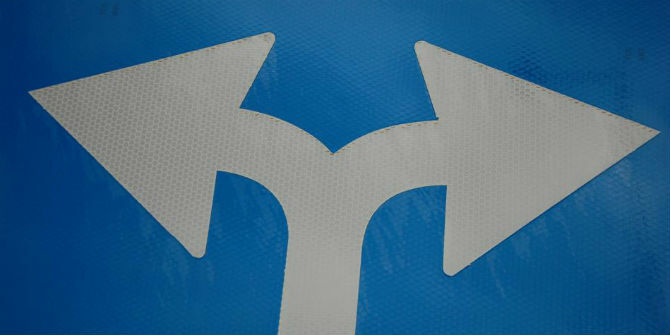 A thicker border means a larger degree of regulatory dis-alignment between the UK and EU. The thicker the border, the greater the economic cost of trading across it. The negotiation now underway is not between the EU and the UK, but within the UK. The EU has made clear what options are available, and the UK is now in the process of deciding which one to select. In Theresa May’s Lancaster House speech, the UK asked for a settlement by which it would not only no longer commit to apply the standards of the Single Market, but also it would no longer allow the EU to monitor the standards of goods and services entering the Single Market, and of course the EU could not accept it. In the ‘Chequers’ proposal, the UK softened its position and agreed to allow ‘a common rulebook’ for all goods, but not for services. The common expectation is that the UK will have to make some further concessions, but that an agreement will be reached before the end of the year, probably postponing some of the most intransigent issues. The UK now has a choice between a thin border, which necessitates some EU jurisdiction over standards in the UK, and a thick border which will have a consequent economic cost and reduce trade between the EU and UK. As soon as the UK leaves the EU there will be a border, but the thickness of the border will vary over time depending on the level of regulatory alignment, and the trust that can be built between the EU and UK regarding the standards of goods and services crossing the border. These are obviously affected by any trade agreements the UK will sign with other countries. If the UK opens its borders to countries with lower standards, or tries to compete by undercutting regulation, then there will be no trust and thick borders. There will be a deal between the EU and the UK government, because it is easy enough to conclude something that kicks the can down the road. The only question is whether the British parliament will accept it. The chances of a ‘no deal’ are low, because the parliament has two alternatives, either of accepting the deal, or of organising a second referendum. Another referendum would require extending Article 50, which is complicated by the European parliament elections at the end of May, but there may be some solution such as allowing the UK MEPs to remain in their seats without re-election. The upcoming decision in the UK parliament is likely to centre on the length of the so-called transition, which is not really a transition but a standstill to allow time for further negotiations. The issue will be how far down the road the can is kicked. Labour has already declared that it will oppose whatever deal the government proposes. There are certain to be a number of Conservative MPs who vote against the agreement, either from the pro or anti –Brexit wings depending on the nature of the agreement. Whether the government succeeds in passing the legislation may therefore depend on the number of pro-EU Labour MPs who are so frightened of a ‘no deal’ scenario that they will rebel and vote for the agreement. Very probably, the fundamental decisions that the UK faces on the nature of its relationship with the EU will be postponed for many years. During that period the UK’s leverage in negotiations will fall still further. Inside the EU the UK had significant influence as demonstrated by Margaret Thatcher’s negotiation of the budget rebate, and by all the different opt-outs the UK has managed to obtain. Outside all of the decision making bodies, the UK will have little to offer in return for support from member states. Similarly, science and academic research is heavily reliant on an immigration policy that allows brains to circulate. The recent announcements by the government following the report from Migration Advisory Committee seems to be turning that policy on its head in a way that could have very serious consequences for academic research and higher education more generally. As a ‘third country’, with a bilateral agreement with the EU to remain within the EU research framework, the UK will have to pay more than it does now. This is because the money for the programme comes from the EU budget, while the funds are distributed on the basis of research excellence, and the UK has many centres of excellence. In a bilateral agreement both sides will expect to benefit financially in proportion to what they contribute. The fact that the UK will have to pay more may itself be the reason it has not already been agreed, since it is politically awkward for the government implementing Brexit. What is the future of the EU? The Delors vision for European monetary union with the political institutions to sustain it has not been tried and failed, but rather has not been fully tried. At Maastricht there was a collective failure of nerve and will in the establishment of the terms of the single currency, which haunts the EU to this day. It may be that enlargement made the problems of the single currency inevitable, but the question is whether and how they will be addressed. Will the EU move towards the Macron vision, or will it continue its tradition of muddling through crises? There seems little doubt that people in Europe want to protect the European model. They don’t want to be left with a choice between a Chinese state managed capitalism or the American hyper-individualistic model. But in order to defend the European model, the EU may need to transform itself into a more coherent entity capable of pursuing long term strategic goals. Outside the EU, what is the UK’s interest in the EU’s future? The global rules-based trading system has been largely built and maintained by the United States. However it is far from clear that the US can be relied on to continue to play this role. In trade terms, the other major powers are China and the EU. Those who campaigned for the UK to leave the EU are if anything even more committed to rules-based international trade, and the question is what can and should the UK do outside the EU to maintain it. With the US taking an increasingly confrontational approach to China, it seems likely that the EU will be absolutely critical to the maintenance of a rules based system, and the UK will continue to have a very strong interest in the successful integration of the EU. Furthermore, Britain is a European country, and it cannot leave Europe. Not only is it heavily integrated economically, but it is also a European society with a tradition of a characteristically European balance of individual freedom and social welfare. In the end, whatever the actual format of the UK-EU agreement – whether it is a Canada style trade agreement, or a Customs Union – in practical terms, a ‘Brexit In Name Only’ is inevitable. Switzerland is an example of a country that pretends to itself it is not in the European Union, but in effect almost every sector of its economy is subject to European regulation. In fact, in the global economy, because it is cheaper to produce international products to a single standard, firms often choose to comply with the strictest regulations, which tend to be those of the EU. So even some American firms are in this way subject to European regulations. For example, the tech giants are implementing European data protection rules, which were also included in the EU-Japan trade agreement. Another reason that it will be clearly in the UK’s interest to remain closely integrated with the EU is the inferior quality of alternative possible trade agreements. Bilateral and regional trade agreements have varying degrees of friction within them, with the EU at the extreme. The Trans Pacific Partnership, for example, includes a very diverse set of countries that makes it impossible for it to have anything close to the frictionless trade that happens between EU members. TPP is unlikely to be more than a small improvement on the basic WTO trade agreement. What has the EU learned from Brexit? Many continental Europeans see the causes of Brexit in the UK’s failure to maintain an adequate social safety net to shield the less fortunate from the disruptions caused by globalisation. They see the same issues at the root of the election of Trump. Support on the continent for the EU has gone up by 10% since Brexit, although Trump and Putin are perhaps also important factors. There has been a big transformation among continental European populists. The previous generations were nationalists. The new generation are pan-European, like Orban, who do not question the necessity of the EU, but they want to integrate Europe in their own way. In Italy for example, the complaint about immigration is that other European states are not sharing the burden. In France, the far-right have abandoned their campaign to leave the euro. UK populists may be different in this respect, perhaps resulting from the strength of Britain’s ex-imperial networks. The world has changed. Trade negotiations are no longer about tariffs, and they are less and less about removing protections for producers against foreign competition. Instead they are about removing the differences in protections for consumers. This has a very different dynamic, because it is not about removing the protections, but rather about levelling them up. Countries with the best consumer protections are at the forefront of driving these new agreements. An example is the Transatlantic Trade and Investment Partnership in which car bumper regulations would be harmonised and create economies of scale for car manufacturers. Brexit is an attempt at de-globalisation, dis-integrating from the UK’s main trading partners, whilst pretending that it can be done without economic consequences. The inevitable outcome is that the UK will remain economically integrated with the EU, and subject to virtually all of its rules, either explicitly, or implicitly – such that it will have to plagiarise them word for word while pretending that it wrote them itself. Even so, there will be a new border between the EU and UK for which both sides will pay some economic cost, and in Ireland perhaps even in blood. The UK will lose all leverage within the EU, and consequently also greatly reduce its influence beyond the EU. In exchange it will get nothing more than a phony certificate of national sovereignty. Almost nobody who campaigned for Brexit will feel it has been executed, while those who campaigned against it will feel equally betrayed. The whole country will have been effectively disenfranchised, and the political consequences are unpredictable and likely to be dramatic. Horatio Mortimer is a business partnerships manager at the LSE and public affairs consultant. 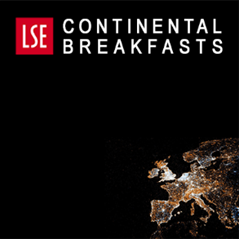 LSE Continental Breakfast 1: What can we expect from Brexit negotiations? It obviously depends what kind of products you make. The European data protection rules (GDPR) apply to anyone anyone holding data about EU residents. So not even tech giants, but even a second-hand bookshop in Pasadena which occasionally sends books to the EU will under EU law be bound by the GDPR. If the bookshop owner wants to be compliant and stores the data about EU customers in a GDPR-compliant way, then it may well be simpler to do the same for all customers, even though the EU customers are only a tiny minority. In this article https://blogs.lse.ac.uk/brexit/2018/09/26/lessons-from-south-korea-what-would-a-hard-brexit-mean-for-british-manufacturers/ we can see that for cars the situation is rather different, in that South Korean car manufacturers create different protection lines depending on what market the cars are made for, at extra cost. In our local paper there is an article on housing. Whereas a nearby local council in Kent was expected to be told by Central Government that in future they would have to build 1,200 homes per year, it is now expecting post Brexit that the figure will be 1050. This reduction will be welcomed by local residents even though economists will probably characterise it as a future reduction of £37m in the local annual economic output. Meanwhile the village I live in has been told that the number of homes will triple in the next 15 years. Is it any wonder that Kent has a different view of Brexit to those who live in London? your point being what exactly? The EU is forcing more house building? Maybe its a Government that has slashed support for social housing to blame and is now scrabbling to correct that? No, the EU is enforcing free movement and people have to live somewhere. The local paper states that following the referendum, projections for population have gone down and the projections for housing needs have gone down in response. Parliament has a third simple choice. That is to have a free vote in whether or not to revoke the Article 50 decision. Parliament is sovereign and can change its collective mind. A revocation would have to be agreed by EU to be effective. How the costs to date will be shared? This is a Constitutional issue, which is beyond Party politics and should be a FREE vote of MP’s . It is their responsibility.